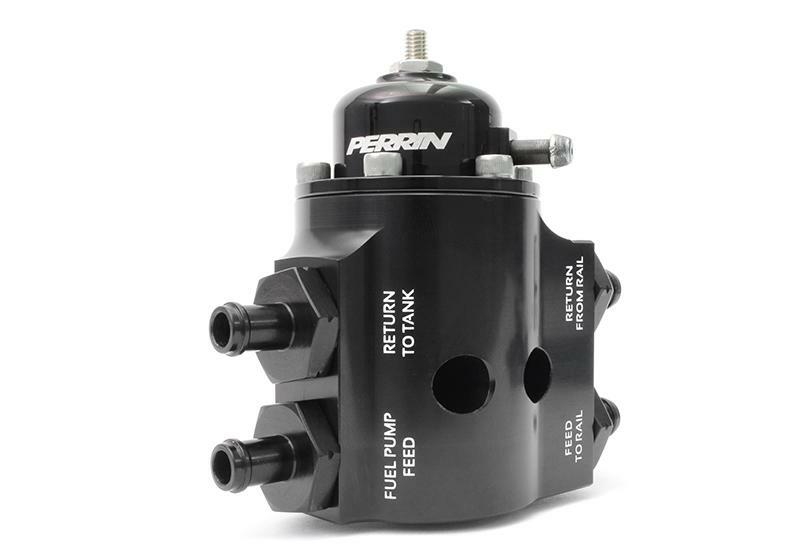 The PERRIN Adjustable Fuel Pressure Regulator replaces the cumbersome and overly-complicated OEM fuel pressure regulator on your 2008-2015 STI. Removing the OEM part along with the two fuel pressure dampeners significantly reduces the common complaint from STI owners that their car stumbles around 3,000 rpm. After years of development, a design was settled upon that works for applications ranging from stock to heavily modified. Unlike competitors’ fuel pressure regulators, the PERRIN Adjustable Fuel Pressure Regulator has a port located discretely on the bottom of its assembly. This 1/8th NPT threaded port allows for installation of aftermarket fuel pressure sensors and/or gauges. Internal components protected under Patent # 6,298,828. These components are licensed to PERRIN Performance for the technology related to the Adjustable Fuel Pressure Regulator’s features. Using this proven technology ensures internal components will last the duration of your vehicle’s life.